July 6, 2016. Age 70. Devoted husband of Lydia “Gigi”. Loving father of Juan (Angelique), Lillian (Kevin) Lara, Benjamin (Irene), Eliezer (Naomi), Jacob (Ivelisse), Lisa Molinar, Joel (Julia) and Elizabeth (Javier) Molinar. Proud grandpa of 42 grandchildren and 8 great-grandchildren. Fond brother of Angel Luis (Aurora)Flores, Cruz Nilda (Daniel) Aldape, Wilfredo (Aida) Flores, the late Eli Flores, Benjamin Flores, Ada (Juan) Garcia, Rachel (Jose) Galarza, Jose Ramon (Jackie) Flores and Anna Cecilia Flores. Preceded in death by his parents, Juan and Ramona Flores and his brother Eli Flores. Further survived by other relatives and friends. 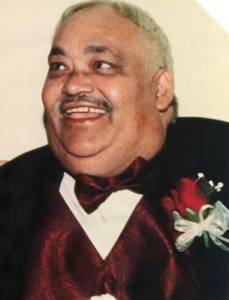 During his life, Mr. Flores devoted much of his time to his church and his faith. He was Deacon, Sunday School Director and Evangelist. Visitation Monday July 11 4 – 9 pm. Funeral Service 7 PM. Procession to Arlington Park Cemetery Tuesday 11:00 AM.